LadyLucks Mobile Casino is one of the rare gems in the online gaming industry – it is one of the selected few casinos that cater only to the mobile users. 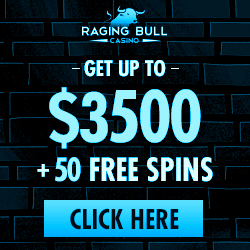 It is owned and uses gaming software provided by Probability – again, a company that has been developing and operating gambling games exclusively for mobile users – and offers a comprehensive range of the most popular and unique mobile casino games, including classic casino games such as roulette, blackjack, video poker, arcade and slot machines, and even its own mobile bingo room. Currently there are 20 games to choose from, LadyLucks Mobile Casino is constantly adding new titles to the mix, and most of them are compatible with touch and feature phones. In their own words, they are Britain’s favorite mobile casino, a fact that over a million subscribers can attest to. Unfortunately, LadyLucks Mobile is currently limited to only the UK. Signing up is simple and easy – the players need only to enter their mobile phone number at the LadyLucks Mobile website or text them, and within minutes they will receive a SMS with a link to the casino’s application form. Upon successful registration every new account is credited with a no deposit bonus. And bonuses, offers and promotions don’t stop there, not by a long shot – LadyLucks Mobile users are eligible to match bonus offers on the first three deposits, promotional codes, VIP promotions and more. LadyLucks Mobile banking page brings a number of safe and secure ways of fund deposits and withdrawals, such as credit and debit cards, PayPal and Ukash. The FAQ section deals with the most common questions and issues the players may have, and for a more direct approach the users may contact the support team via email or telephone. 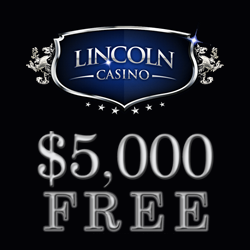 LadyLucks offers all new players £5 free, no deposit required. 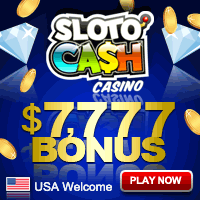 The bonus is added automatically to the player’s account upon successful registration. – 100% match up bonus up to £25 on third deposit. The bonuses are added automatically to the player’s account when a corresponding deposit is made. The bonuses are available only to customers depositing by credit or debit cards. Bonus money is for play purposes only and cannot be withdrawn. Bonus balance is always used before player’s cash balance. After playthrough requirements are met, any winnings generated from bonus money are added to player’s cash balance and can be withdrawn. Any bonus funds remaining are forfeited upon a withdrawal request. In the interests of fair gaming, LadyLucks Mobile requires the players to have wagered at least 50 times the sum of the bonuses received before a withdrawal is allowed. Different games contribute differently towards meeting the wagering requirement. Roulette and Blackjack contribute 10%, Long John’s Silver, Poseidon’s Kingdom, Gold Rush and The Slot and Reindeer Readies contribute 80% and all other games contribute 100% towards fulfilling the playthrough requirement. Outside bets or bets covering more than half of the wheel on Roulette do not contribute towards the wagering requirement. The bonuses must be wagered within 90 days of being credited. After 90 days any unused bonus money is void and removed from the player’s account. As far as we know, only players residing in the UK are allowed to sign up and claim bonuses.